Vauxhall’s all-new Brit-built Astra will premiere at the 2015 International Motor Show (IAA) in Frankfurt on September 15th, 2015 at 09:00 at Stand D09 in Hall 8.0. 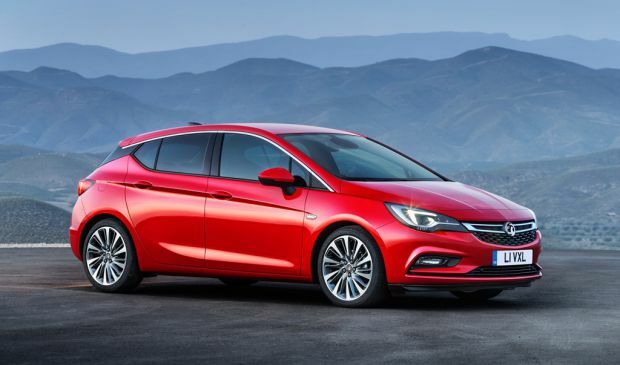 Built at Vauxhall’s Ellesmere Port plant in Cheshire, the new Astra is up to 200kg lighter than the outgoing model and thanks to its clever design it is smaller on the outside and bigger inside. The powertrain portfolio features petrol and diesel units ranging from 100PS to 200PS, including an all-new 1.4-litre (145PS) ECOTEC Direct Injection Turbo, a four-cylinder unit from the same family as the one-litre, three-cylinder engine seen in Corsa, ADAM and VIVA. Equipped with OnStar, the first all-new Vauxhall to feature this technology; this includes high-speed 4G LTE mobile network, emergency response notification and stolen vehicle recovery technology. It is also one of the first vehicles from a mainstream manufacturer to get Apple CarPlay and Android Auto, available through a new version of the IntelliLink infotainment system. "The all-new Brit-built Astra raises the bar in terms of quality, design and connectivity," said Tim Tozer, Vauxhall's Chairman and Managing Director. "Lighter than ever before, with new powertrains and cutting-edge technology including OnStar, Apple CarPlay and Android Auto technology, the new Astra looks set to shake up the C-segment when it arrives in showrooms this autumn."